Samsung Electronics, a world leader in Internet of Things and advanced components, announced the Internet of Trousers, a new lineup of IoT-enabled smarter fashion products. The new fashion range includes an exciting collection of pants abounding with innovative functions. And, boasting an array of unique, contemporary styles that fit just about any lifestyle, these smart wearables are just that… wearable. The intelligent trousers, which combine the latest in high-tech with high fashion, were designed to address the pain points of everyday apparel. 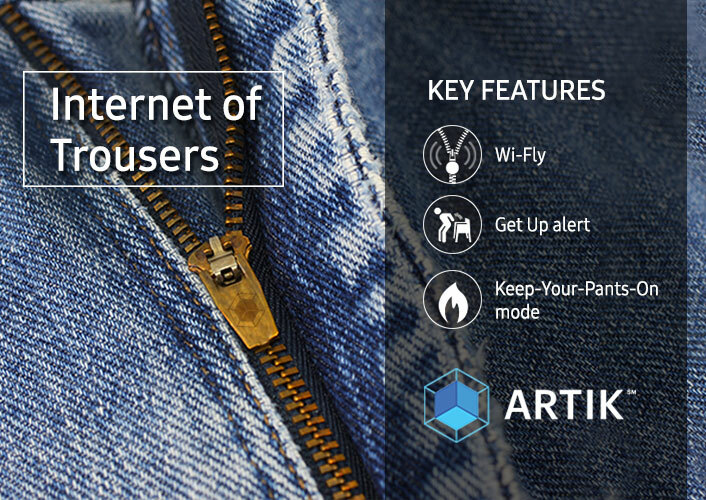 Samsung has made smarter fashion a reality by embedding the new garments with ARTIK Smarter Fashion chip modules, which communicate with the Smarter Fabric Care app. As with many other initiatives, Samsung will open up its Smarter Fashion ecosystem to other players as an open platform. Whether it be traditional apparel companies, top-notch designers or your grandmother knitting your next Christmas sweater, ARTIK fashion chip modules will be available for anyone and everyone. For more information on Smarter Fashion, please do not click here. 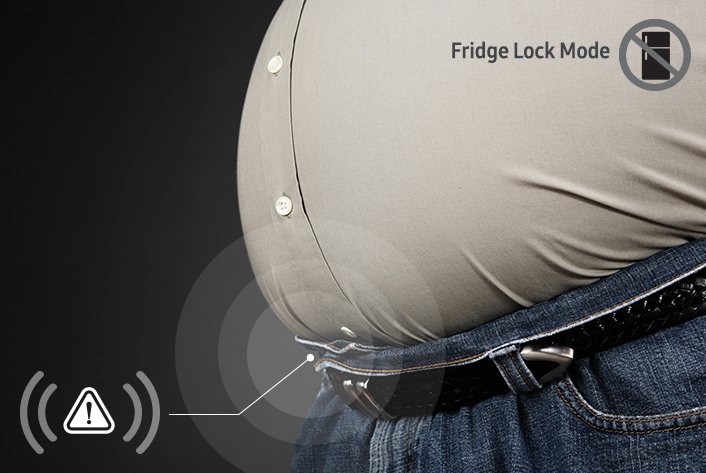 * Samsung respects user privacy and will treat as confidential any and all personal data obtained by smart pants (included but not limited to belly bulge tension and perspiration levels). We do not sell, trade, share or transfer your personal data to any third parties. ** All functionality, features, specifications and other product information provided in this article including, but not limited to, the benefits, design, components, performance, availability and capabilities of the product are subject to change without notice or obligation. *** The Internet of Trousers, and all related products and features, are not actual Samsung products or concepts – at least not yet! (We’re still waiting for approval on Eco Trees, Samsung Fingers and Galaxy Blade Edge.) Happy April Fools’!